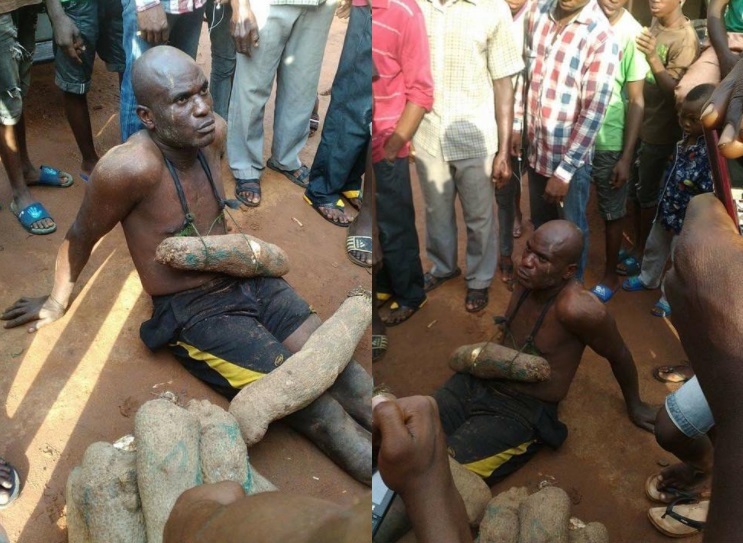 Man caught stealing yam tubers at Onitsha main market, Anambra State, made to use one of the tubers as pendant. Charles Oyaebugha Mutu Probably his wife and kids were very hungry he may have tried all he could to get them food , i don’t blame him but our government , 1984 is constantly repeating itself , beating petty thieves isn’t always d best , if i was there i would have given him some money after asking him what led him to steal common yam. Nigerians pls have pity on fellow human. Jade Osa Hmmmmm! So this kind of thing happen there, too? Na wa ooo! I thought they only have saints and angels in that region seeing the way some people attack other tribes when their short-comings are reveals. Hmmmm . 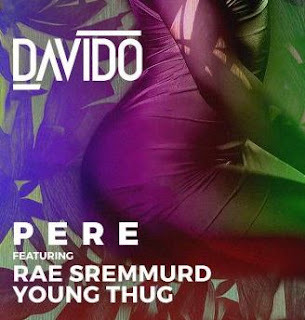 Everybody kwenu! 0 Response to "Photos: Nigerian Man Caught Stealing Yam In Anambra State"